*The winners of the “48th NAACP Image Awards” were announced tonight during the live broadcast from Pasadena Civic Auditorium which aired on TV One. The two-hour live special was hosted by Anthony Anderson. There was a live pre-show from the red carpet hosted by Nischelle Turner and Terrence Jenkins including Tai Beauchamp and Chris Spencer as special correspondents. NAACP Chairwoman Roslyn Brock presented the NAACP Chairman’s Award to Harvard Law Professor Charles J. Ogletree, Jr. NAACP President Cornell William Brooks presented the NAACP President’s Award to Lonnie G. Bunch, III. Some of the biggest names in film, television and music appeared including: Taraji P. Henson, Denzel Washington, Dwayne Johnson, Kerry Washington, Tracee Ellis Ross, Nate Parker, Niecy Nash, Omari Hardwick, Regina King, Mandy Moore, John Legend, Terrence Howard, Angela Bassett, Sterling K. Brown, Octavia Spencer, Trevor Noah, Janelle Monae, Issa Rae, Mike Colter, Mykelti Williamson, Adam Rodriguez, Rashida Jones, Bill Paxton, Brian White, Deon Cole, Jussie Smollett, Jurnee Smollett-Bell, Justin Cornwell, Nick Kroll, Penny Johnson, Pooch Hall, Don Cheadle, Keesha Sharp, Andra Day, Kofi Siriboe, Rutina Wesley, Stephan James, Tika Sumpter and Uzo Aduba. Also appeared were cast members from Empire, This Is Us, Atlanta, The Carmichael Show, Power, black-ish, Queen Sugar, and more. The winners of the “48th NAACP Image Awards” in the non-televised categories were announced during a gala dinner celebration that took place Friday, February 10, 2017, at the Pasadena Civic Center Ballroom – the event was hosted by Erica Ash and Deon Cole. The NAACP Image Awards production team included Executive Producers Reginald Hudlin and Phil Gurin, Tony McCuin was the Director, Kimmie H. Kim and Byron Phillips were Co-Producers, and Robin Reinhardt was Talent Producer. Cree Summer was the in-show announcer. Nominees for the NAACP Image Awards are determined by the number of entries received by the deadline. To be eligible, projects must have had a national distribution date between January 1, 2016, and December 31, 2016. From those entries, a nominating committee selects five nominees in each of the 56 categories. To determine the winners, the members of the NAACP vote via a secured online site. The results are tabulated by the Image Awards auditors, Bert Smith & Co., and the results are confidential until the envelope is opened LIVE on stage during the TV One telecast on Saturday, February 11, 2017. Below are all of the winners for the 48th NAACP Image Awards. 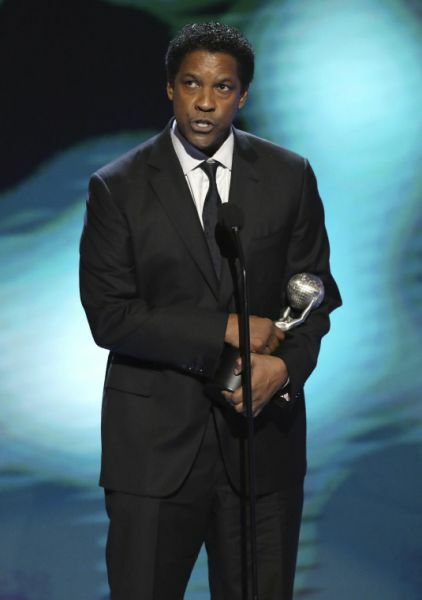 The winners from last night’s “48th NAACP Image Awards Non-Televised Awards Dinner” are below. Special encore presentations of the show will air on TV One at: Tonight – 11:05 PM ET, Sun. Feb. 12 at 10am & 6:05PM ET, Wed. Feb. 15 at 9:30am ET, Thurs. Feb. 16 at 4pm & 12am ET. Launched in January 2004, TV One<http://www.tvone.tv/> serves more than 60 million households, offering a broad range of real-life and entertainment-focused original programming, classic series, movies and music designed to entertain and inform a diverse audience of adult black viewers. The network represents the best in black culture and entertainment with fan favorite shows Unsung, Rickey Smiley For Real, Fatal Attraction, Hollywood Divas and The NAACP Image Awards. In addition, TV One is the cable home of blockbuster drama Empire, and NewsOne Now, the only live daily news program dedicated to black viewers. In December 2008, the company launched TV One High Def, which now serves 14 million households. TV One is solely owned by Radio One [NASDAQ: ROIA and ROIAK, www.radio-one.com<http://www.radio-one.com/>>], the largest radio company that primarily targets Black and urban listeners. For more information about TV One, viewers can join the conversation by visiting the network’s companion website at www.tvone.tv<http://www.tvone.tv>>. TV One viewers can also join the conversation by connecting via social media on Twitter<https://twitter.com/TVONETV>, Instagram<https://www.instagram.com/tvonetv/> and Facebook<https://www.facebook.com/tvonetv> (@tvonetv) using the hash tag #REPRESENT and catch clips and promos on TV One’s YouTube Channel<http://www.youtube.com/user/TVOneOnline>.